I am really looking forward to summer. I’m a beach girl, so naturally I love painting anything that has to do with the beach. 1. 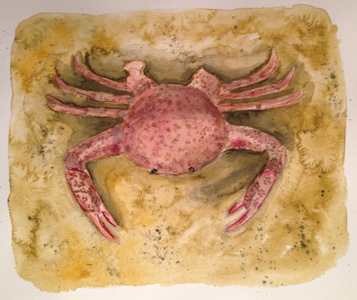 After sketching the crab, I wet the background and added paint. I really love doing the background first. I think I feel more free to play with the watercolor, adding splotchy areas and even flicking spots on it. I tried hard to make it look like sand. 2. 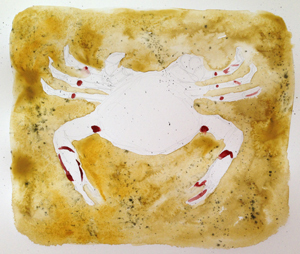 I worked on the crab, adding in the red parts on the claws and legs and the dots to the shell. It still needs work, it looks too flat, like it’s one with the background. 3. I added shadows under the crab and to the shell added shadows and more details. I added even more detail to arrive at the final crab. 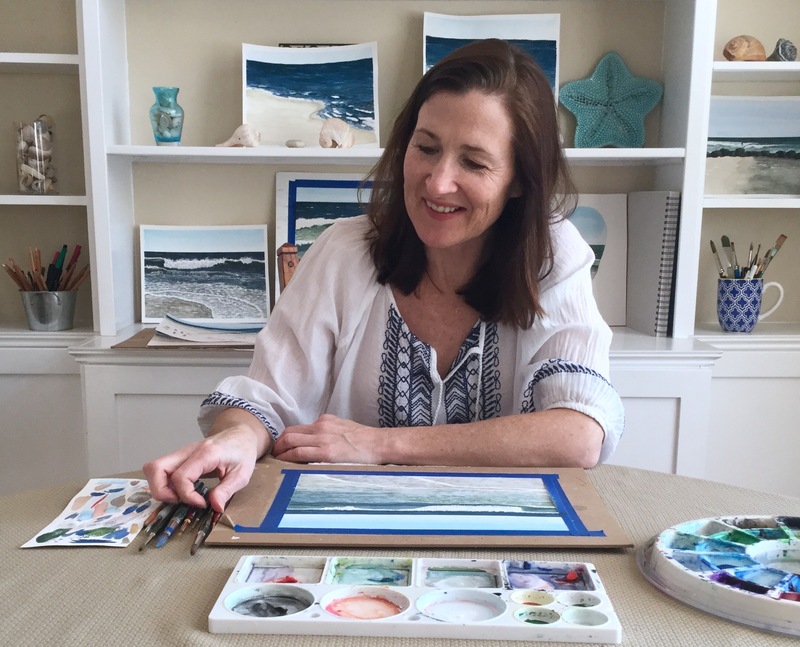 I was inspired by fellow blogger, Sara Gourley’s painting of a blue crab. 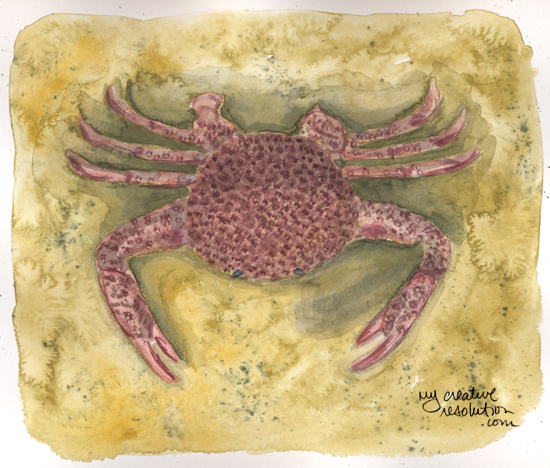 I decided to paint one that looks like the kind of crabs we see at the beaches around here. 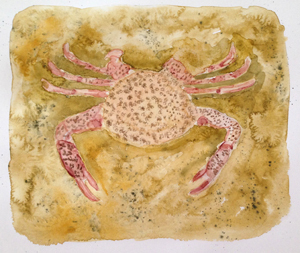 Categories: Watercolor | Tags: beach, crab, painting, watercolor | Permalink. I love it! I really like the sand! I love the flecks and the way the paint spread. I really like your sand texture. thank you! I think I like the sand better than the crab. lol! Thank you. I’m so glad the posts are helpful – I’m still trying to figure things out myself! 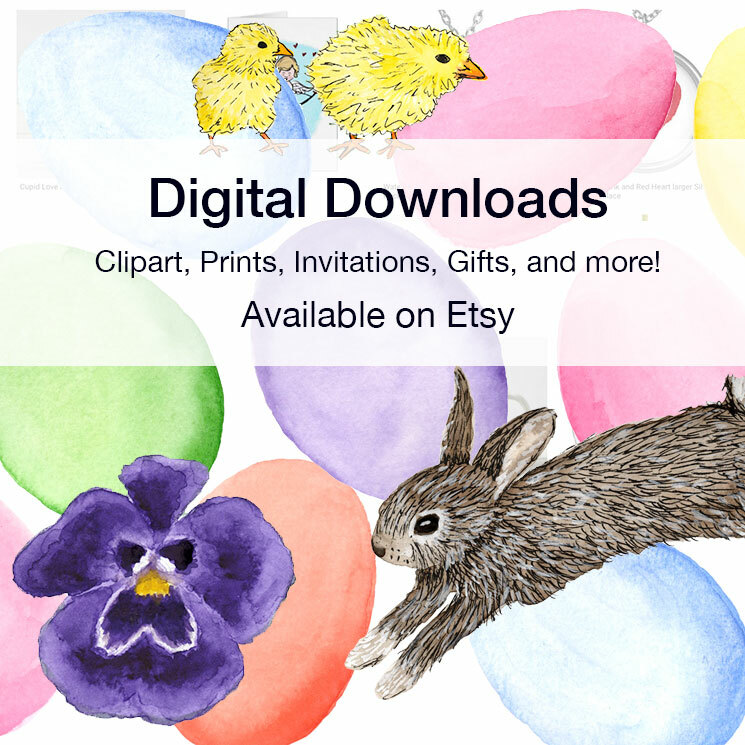 Your post 10,000 hours was very motivating and I loved the link to the watercolorist’s technique. I had to pull out the paints right away – lol!